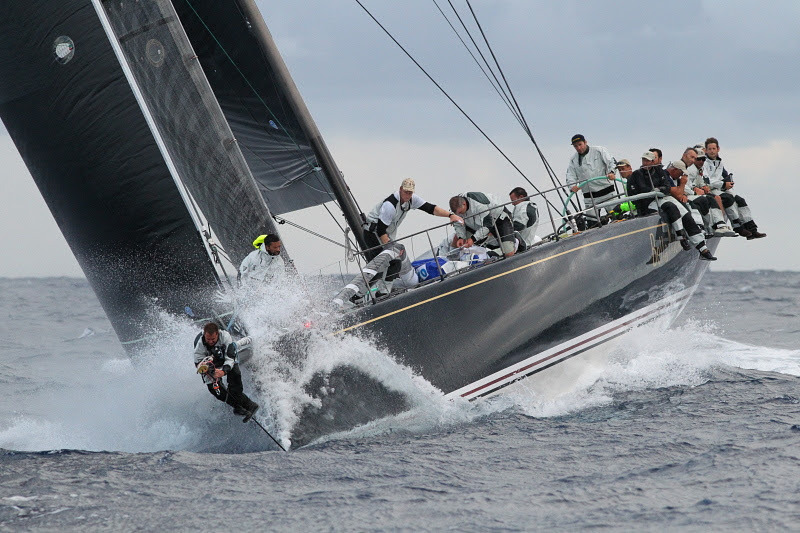 Hap Fauth's JV72, Bella Mente crossed the finish line in Antigua to take Monohull Line Honours for the 2014 RORC Caribbean 600 on Wednesday 26th February, in an elapsed time of 48 hours, 5 mins, 44 seconds. "Oh yeah, we had lots of funky wind and, you know, all kinds of stuff: a lot of storms, a lot of thunder cells going through, crazy shifts," commented Hap Fauth dockside. "We got caught under a couple of thunder cells and sat for 45 minutes, if you can believe that, until the breeze came back in. But the back of Guadeloupe - Bella Mente was 100% out of 100%. "We studied it and the result was perfect. I will have to think about it, but I don't think that we've had a closer offshore race than this. It was back and forth, back and forth - obviously you guys watched that on the tracker. But it's a hell of a race. "Those guys, (Shockwave and Rambler) they can get up and go and cover a lot of ground. The last beat coming in, we just basically sat in front of them and made sure they never got away from us. 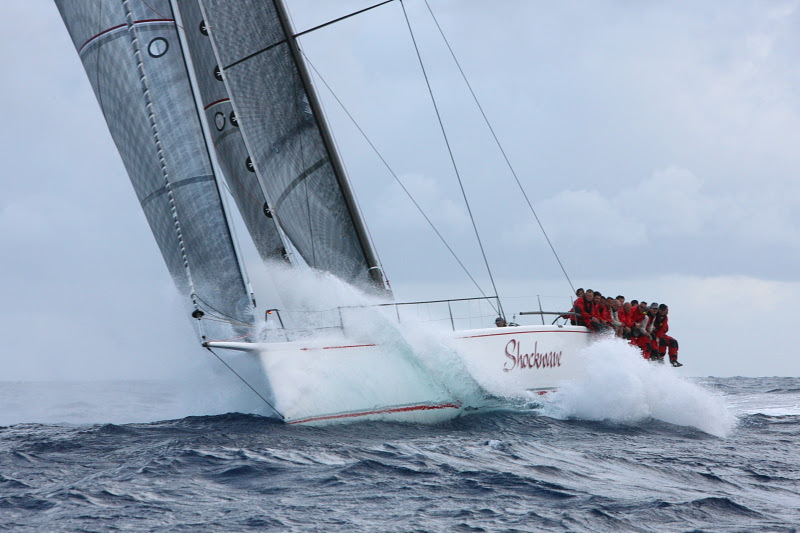 So, it was a classic match race, they tack, we tack - tack and pick up and go." George Sakellaris was delighted with the team's performance dockside: "An excellent race, the wind, the intensity of the racing. It was a very close race. In the big picture, the winds were favourable to us. The first half of the race had wind angles that suited Bella Mente but we knew that we would have our strengths in the second half. 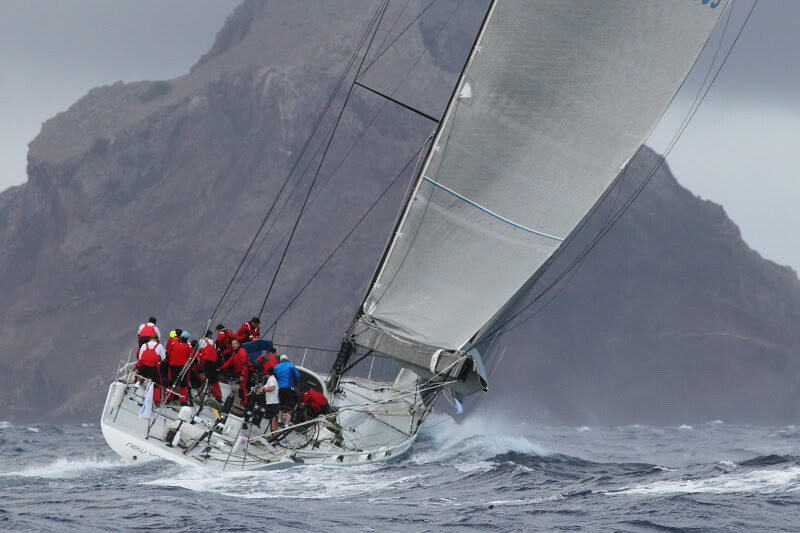 Great racing against very well sailed boats and, at the end of the day, winning yacht races is all about the team performance more than anything else." George David was philosophical about the performance of Rambler. "Just look at the difference in hull shape between Rambler and the Mini Maxis. Rambler is now 12 years old and we haven't sailed the boat since September. Rambler has been a great boat, but we were well beaten on handicap in this race. "We were disappointed not to take line honours, but there was no way we were going to let both 72s beat us. I would like to congratulate the RORC on producing a fantastic race that has grown incredibly in a very short time period. We will be back next year with the new boat and we feel, given the right conditions, the new Ramblerwill be able to challenge the record we set in 2011 with Rambler 100."